Pregnancy is a wonderful time in a woman’s life, isn’t it. It gives us the time to recollect, plan ahead, simplify and focus our lives on a something higher than our well-being, that of another person. During that time of preparation women grow – mentally, spiritually and physically. Today I want to address the physical growth of pregnancy; although beautiful, natural and glowing, it often has a negative effect on our self-esteem later in life. The growth of our bellies, breasts and thighs sometimes leads to the appearance of stretch marks. Based on a my detailed research, I created the most effective natural salve that will prevent and treat stretch marks. 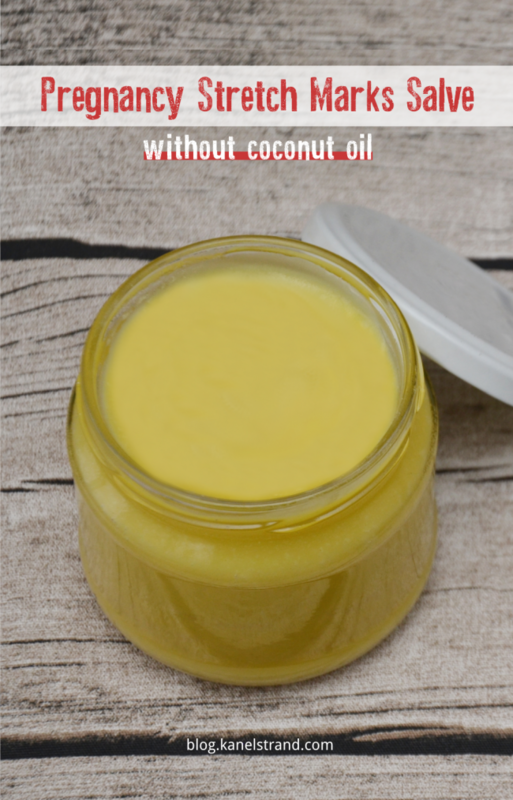 As with all things I share on this blog, the stretch mark salve is rather simple and will take no more than 15 minutes to prepare. Before I let you know the full recipe, let me remind you that each type of skin is different but no matter how susceptible yours is to stretch marks it is very important that you keep yourself hydrated and eat a lot of fresh vegetables and fruits, as well as fish high in Omega-3. For this stretch marks salve I am not using coconut oil, regardless of the number of praises I’ve heard and read about it, the reason being that for people with very dry skin coconut oil is not moisturizing enough. Actually, I experienced this effect on my lips last winter when I used my homemade lemon lip balm which included coconut oil and wondered why the hydration wasn’t as expected. As discussed in Skin Care Talk, coconut oil is made up of glycerol esters of shorter-chain fatty acids, mostly lauric acid (about 47%). Lauric acid has 12 carbon atoms compared to 18 carbons in stearic acid, a common component of most fats and oils. Other major components are 8, 10, and 14 carbon fatty acids. This makes coconut oil a lot different than most other oils. Also, coconut oil is considered to be fairly comodogenic, so if you have a tendency to get clogged pores (blackheads, etc), coconut oil might exacerbate that problem. To stay away from any possible harm, I left out the coconut oil this time. 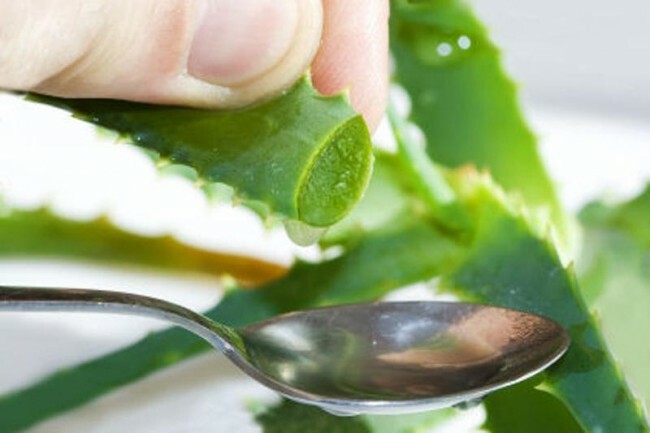 Aloe Vera gel is effective in the treatment of many skin problems. It has various essential nutrients and active compounds that can be used in the treatment of minor burns and acne scars. Basically if there is a skin disease chances are that Aloe Vera can help with it. Its healing and soothing properties can be used to get rid of stretch marks as well. Wheat germ oil aids the regeneration of the natural processes of the skin. It nourishes the skin and heals and preserves it. Its antioxidant properties prevent all sorts of tissue damage and builds collagen. Wheat germ is a “true carrier” oil, as it has the ability to travel through the epidermis into the dermis where the actual stretching occurs. It carries the regenerating oils or Aloe Vera it is combined with into the dermis feeding new skin cells as they travel up to the epidermis. According to a study published in Pharmacognosy Research titled Comparative measurement of hydration effects of herbal moisturizers the combination between wheat germ oil and Aloe Vera extract produces the highest hydration effect on the skin, due to their synergistic effect. Wheat germ oil or Aloe extract, when present separately produces skin hydration to lesser extent. 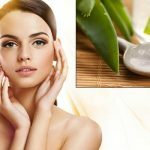 According to the same study in Pharmacognosy Research, second in rank in terms of skin hydration is the combination of Aloe Vera extract and olive oil. It is worth noting that when oil is added to a hydrating salve, the effect is increased as it forms an occlusive layer on the skin and prevents loss of moisturizer. In general, when applied to skin, the vegetable oils are easily absorbed and show great spreadability. In my stretch mark salve recipe I use calendula infused olive oil because calendula is known to have gentle, cooling, and soothing properties. Calendula oil is the most successful oil for assisting with dry and damaged skin, skin inflammations, rashes, diaper irritations, and other skin disorders. It makes a wonderful baby’s oil and is exceptional for those with sensitive skin. An easy and quick way to infuse olive oil with calendula is to fill a clean, dry glass jar with dried calendula flower heads, then cover with olive oil. Put in a double boiler on the stove top and warm over low heat at approximately 100 degrees F (40 degrees Celsius) for at least 4-6 hours. Once the oil has infused, strain out the herbs using cheesecloth and pour the infused oil into glass bottles, date and store in a cool, dark cupboard. Add a few drops of liquid vitamin E which will act as a preservative and will be an added bonus for all skin recipes you’ll use it in. Use it up within a year. I use 100 g / 3.50 oz of each, which is usually enough for 2 months. Melt the cocoa butter in a double boiler. In the meantime combine the other ingredients and stir well. Add the warm cocoa butter, stir. If you dislike the calendula smell you can add a few drops of essential oil of your choice. Pour in a clean glass jar and let cool. The stretch mark salve will harden at lower temperatures but it will quickly soften by the heat of your fingers and palms before applying. And that’s it. A pregnancy stretch mark salve cannot get any easier but that doesn’t make it unreliable. 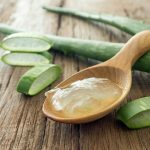 Backed with serious scientific research, this is the most moisturizing natural homemade salve you can use to prevent or treat stretch marks. Start applying the stretch marks salve as soon as possible, i.e. once you start seeing your belly grow. Apply on your belly, breasts, and thighs – these are the areas most prone to stretch marks. shower to lock even more moisture in your skin. 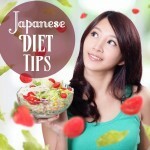 Why Do Japanese Women Live the Longest and Don’t Get Fat? 7 Warning Signs Your Hormones Are Out of Balance! How To Reset Them Naturally?